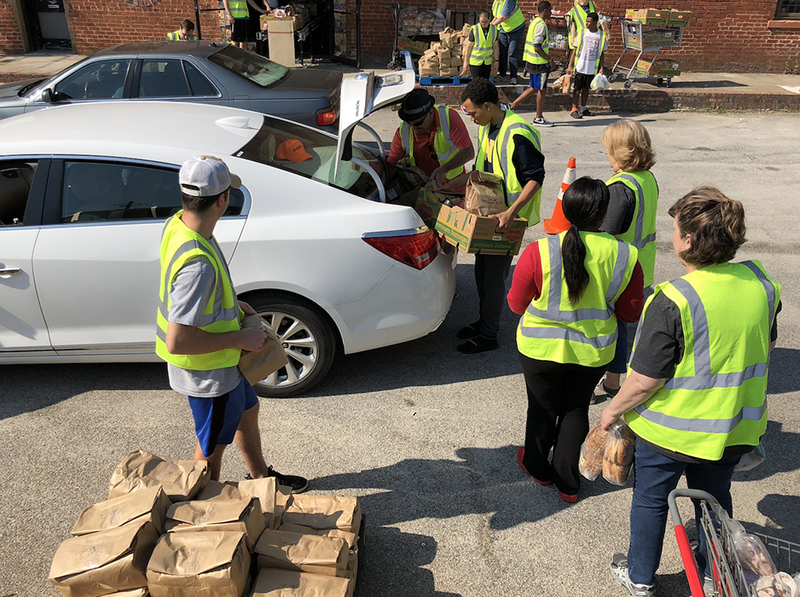 On Saturdays, we run a drive-up food bank that serves approximately 100 families per week. Families receive food and other grocery necessities, from toothpaste to detergent. All distribution is done on a first come first serve basis. We suggest being in line by 8AM to guarantee services. If you would like more information on serving you can contact us here.